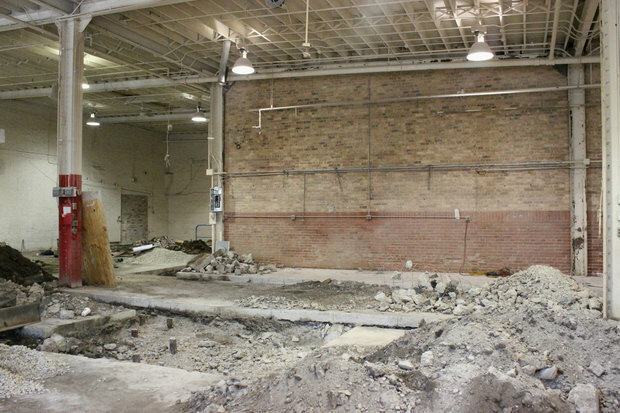 RAVENSWOOD — To the untrained eye, Band of Bohemia's 6,000-square-foot Ravenswood home looks like a whole lot of empty space broken up by the occasional pile of rubble. 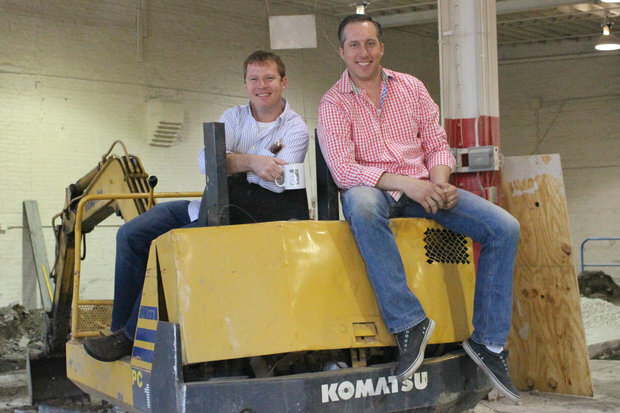 But where visitors only see blank brick walls and gaping trenches in the cement floor, owners Craig Sindelar and Michael Carroll can picture their culinary brewhouse at 4710 N. Ravenswood Ave. finally taking shape. That trough in the center of the room? That's the bar/lounge, which will have seating for 25-30 people, said Sindelar, head sommelier at Alinea restaurant. They'll bracket the glass wall that will give diners a glimpse into Bohemia's brewery, which will have an annual capacity of 800 barrels, he said. Walk up to the building's roof and Sindelar envisions, someday, a certified garden where Bohemia could grow the kinds of herbs and vegetables that will eventually make their way into Carroll's brews and dishes created in the kitchen below. 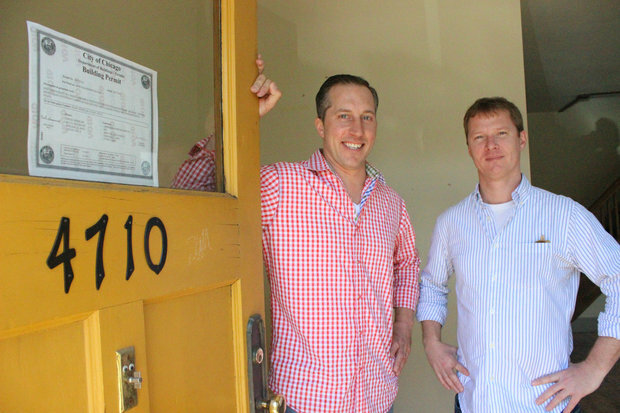 Since first announcing Band of Bohemia in April 2013, Sindelar and Carroll have had to make the most of their imaginations while waiting on permits and zoning changes. They initially planned to open in 2014, and then adjusted that deadline to summer 2015, which they're likely to blow past as well. But the presence of construction equipment and those aforementioned piles of rubble send a strong signal to their potential patrons that the two haven't just been selling folks on a pipe dream. Band of Bohemia will be pouring a trio of beers and serving up small bites Friday at an event to celebrate the expansion of their Ravenswood neighbor, Nadeau furniture. Carroll has been brewing 15-gallon batches off-site, and while he wouldn't divulge all the tricks up his sleeve for Friday, he did reveal two of the beers he's bringing to Nadeau, adding that they're a fair "representation of what we're looking to accomplish." One is a roasted beet and thyme rye that he collaborated on once before with Half Acre. "So that one tastes like roasted beets, thyme and rye," Carroll said. The other is a "really light and refreshing" lemon, lavender and cardamom wheat, the flavoring of which requires a "delicate touch," he acknowledged. "Everything is meant to follow the seasons," said Carroll. Given that hint, mystery beer No. 3 is not likely to be a heavy stout, but it's a safe bet the brew will be as unusual as its beet and lavender-tinged Bohemian compatriots. "A lot of people are going to love it, a lot are going to hate it," Sindelar said of Bohemia's take on beer. "We know that." Special events like Friday's aside, once Band of Bohemia is finally open to the public, the only place to find Bohemia's beer will be on draft at the restaurant, similar to BreakRoom Brewery. The beers are intended to complement the kitchen's cuisine, and the menu will be structured in a way that indicates which food items match up well with what beer, Sindelar said. And when, exactly, might diners be ordering off that menu? The business partners are no longer making predictions. "It takes time, and we want to do it right," Sindelar said. Nadeau's "Design, Drinks, Decor" event — 6:30-9 p.m. Friday at 4433 N. Ravenswood Ave. — is free and open to the public, but RSVPs are required.